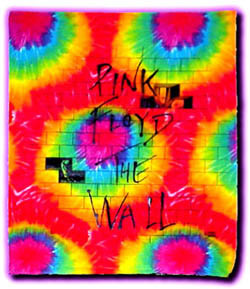 Pink Floyd's The Wall design on a tie dye tapestry. Hang it on a wall in a dorm room or other room for great rock n roll decor. Licensed silk screen design is a giant 40" x 45".